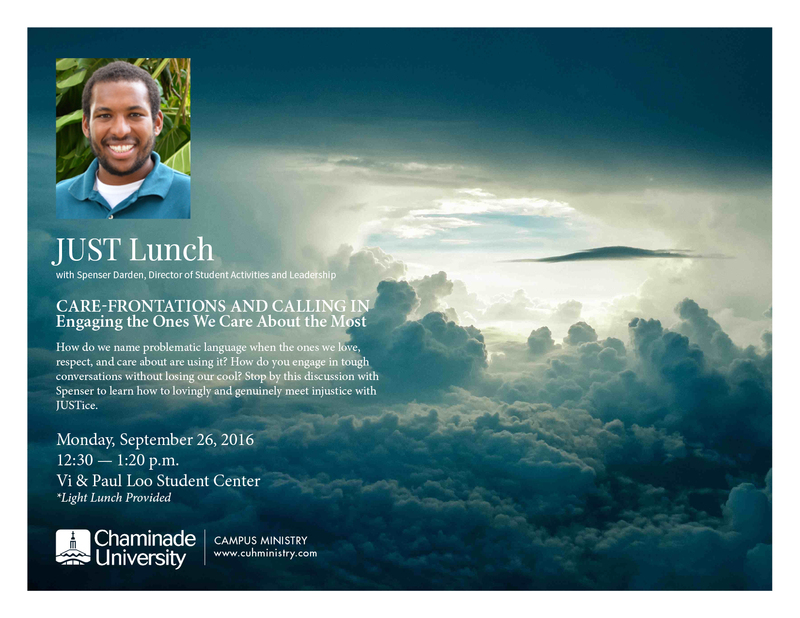 JUST Lunch is a bi-weekly gathering of Chaminade students, faculty, staff and Marianist community members hoping to educate and activate our campus community to become part of the solution in addressing local, national and international social justice issues. JUST Lunch was created from the conversations coming of the Summer 2011 Marianist Universities Meetings titled “Civic Engagement in Catholic and Marianist Universities”. 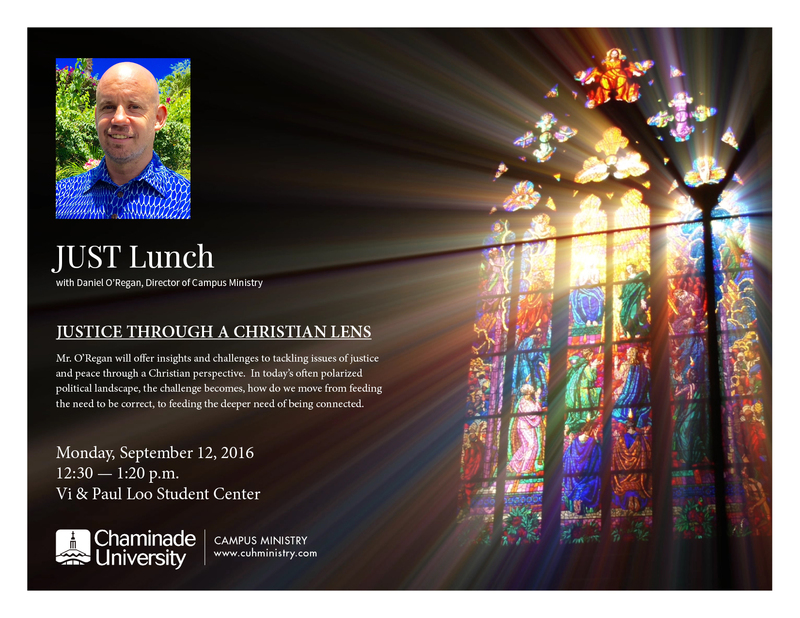 The program consists of a light lunch, provided by Campus Ministry, followed by a brief presentation and discussion on various topics of interests.